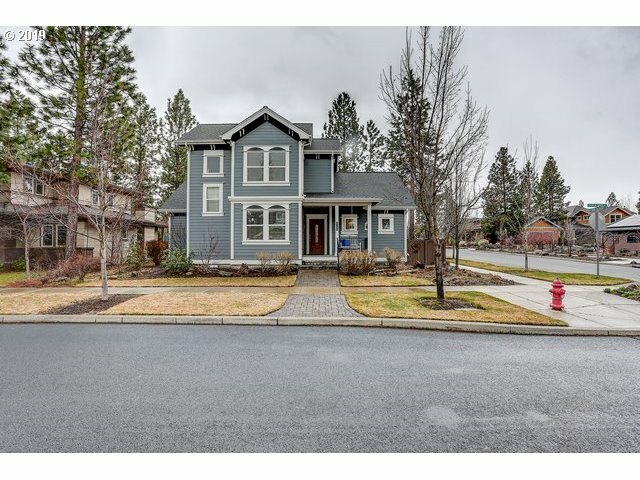 All Bend homes currently listed for sale in Bend as of 04/22/2019 are shown below. You can change the search criteria at any time by pressing the 'Change Search' button below. 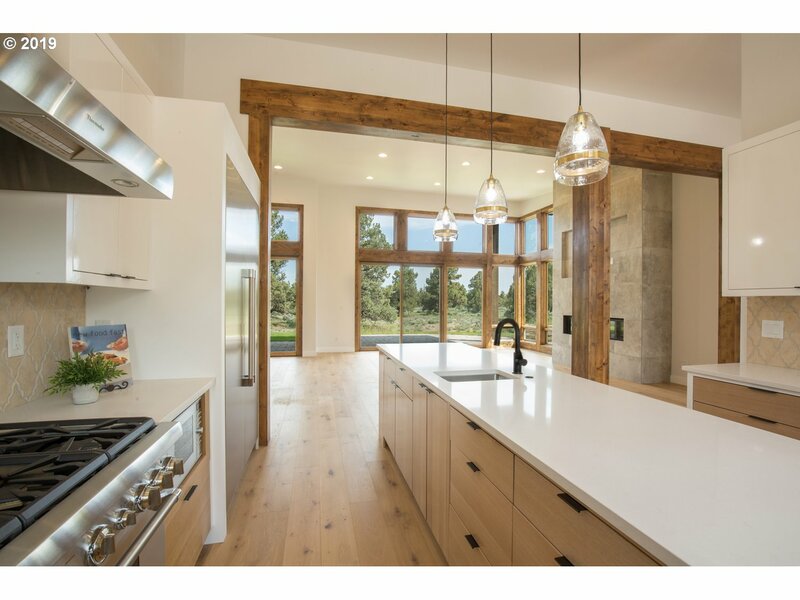 If you have any questions or you would like more information about any Bend homes for sale or other Bend real estate, please contact us and one of our knowledgeable Bend REALTORS® would be pleased to assist you. "The Box S Ranch offers unmatched seclusion & privacy, 280 acres, Cascade Mt. views just 4 miles from Bend. Main Home: 4416 sf, 4 bed, 5.5 bath, office, formal dining room, gourmet kitchen, stone fireplace. 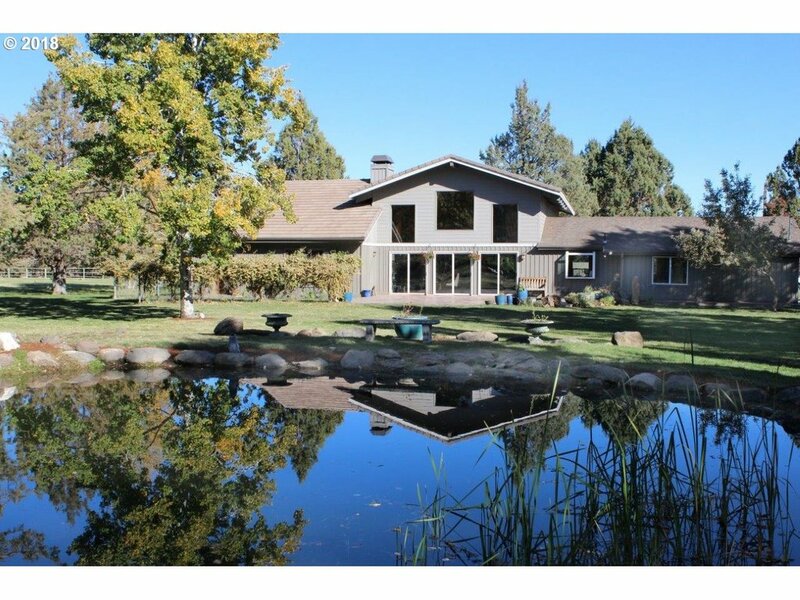 Property features: 95 acres of water rights, varied topography, 2 Canyons, 2 stocked ponds, Gated Driveway, 1850 sf Guest Home, Barn. Additional Building Sites. Recreational Lifestyle Property!" "The finest quality and expert craftsmanship come together to create Central Oregon's finest horse property. Gated estate sits atop secluded hill top setting overlooking lush green pastures & expansive Cascade Mountain views! Main level living w/open floor plan, media room, wine cellar, & expansive bar area. Horse facilities feature 80x160 indoor arena, 200x100 outdoor arena, barn, covered turn outs, 1000 sf apartment, shop, hay storage." "Designed and built by Norman Building and Design in 2000. Panoramic view of Cascades and The Broken Top Golf Course. Quiet cul-de-sac. Lodge design. Gated and guarded community. Custom 10 seat State of the Art theater with 130 HD screen and THX Dolby Surround System. Wine room, Exercise room, Steam shower, Gas and wood burning fireplaces. Fully landscaped overlooking stocked pond and golf course; 3-car garage plus shop." "Expansive & Private! 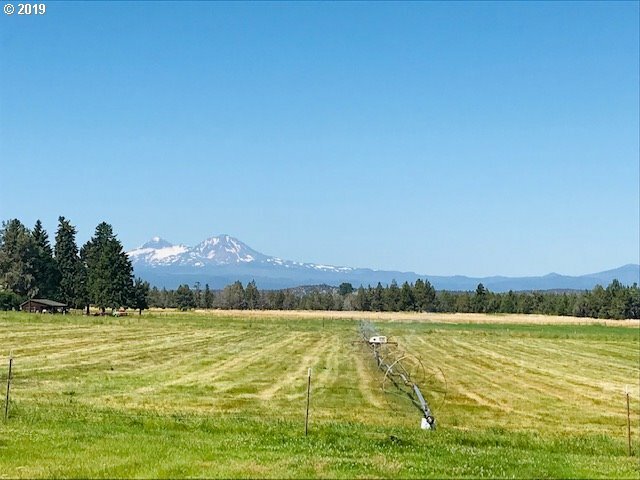 96+ acres w/55 acres 3 Sisters irrigation water rights w pivot line X2, boardering forest service land (USFS) access to the 3 Sisters Wilderness. HUGE unobstructed Cascade Mountain, massive forest & grassland views. Three ponds, waterfall feature, wrap around deck, vaulted ceilings, large windows, hay barn, loafing shed, fenced horse pasture, paved driveway, room to build your dream shop, new home or ???" "Rustic stunner w/amazing views in this High End Custom Home that checks all boxes for luxury living. Designed w/Wow factor throughout, attention to detail shows in the quality craftsmanship.At 4950-Sqft, form follows function, making day to day living easy & enjoyable. Upper Mstr Suite w his/her walk-in closets & vntys + 1 of a kind birds nest relaxation rm.2nd Master suite on Main, Open concept living flows to Kitch & Outdoor Ent deck." "Perched atop a premier home site in the heart of Tetherow,this single-level craftsman home takes advantage of the best terrain & golf course views of Tetherow.With three master suites,double office with built ins,vaulted great room,tall ceilings and wide hallways,an already spacious home lives even larger.This energy efficient,well cared for home takes advantage of natural light and lives comfortably.$30,000 Tetherow golf membership inc"
"HIGH DESERT MODERN in the exclusive gated golf community of Pronghorn. Architecturally designed to maximize our relaxed Bend lifestyle, connecting indoor & outdoor living spaces with Covered Deck areas, outdoor patio has fireplace, Hot Tub & BBQ area. Stunning Master Suite w/Fireplace. Wood & Blue Stone flooring, Custom Fir Cabinetry & Doors. Professional Kitchen, Media Room/Den. And Guest Casita." "This New Single Level Contemporary home is light, bright & open w/modern accents.Three Suites,4th Bedroom/office. Located behind the 2nd private gate in The Estates at Pronghorn. Spacious property,on .82 acre lot, backing to BLM land with unlimited recreation out your door. Very private/quiet setting.Enjoy all the amenities of Pronghorn: Private Club, 2 Golf Courses, Tennis, Pools, Restaurants, Spa, Fitness Ctr, Dog Park & more!" "River front home w/sweeping river views. Nestled in the Ponderosa Pine trees sets this 4100 sq ft custom built home. Vaulted ceilings, river rock double facing fireplace, updated kitchen, newer appliances, quartz counter tops, loft area, craft room w/closet. 2 office areas, 2 heating systems, oversize attached double car garage with work benches & storage. Large deck overlooking the river. Landscaped and paved driveway." "Custom, one owner 5+ bedroom, 4.5 bath home on nearly 26 acres. Secluded, area near Bend, Redmond, Sisters. 22.75 acres irrigation, fenced, 7 stall barn. Large windows maximize pastoral and Cascade Mountain views. Large family room, formal living with wood burning fireplace and formal dining room. Chef kitchen with 2 cooktops, dbl ovens, prep sink & more. Triple, X deep attached garage and additional hobby room." "Peaceful Paradise w/ spectacular views of the Cascade Mountains! Secluded 5 acre park-like setting at end of private road backing up to BLM land. Quality custom-built home offers an open floorplan, main-level master, floor to ceiling windows w/tons of natural light & high-end finishes throughout. 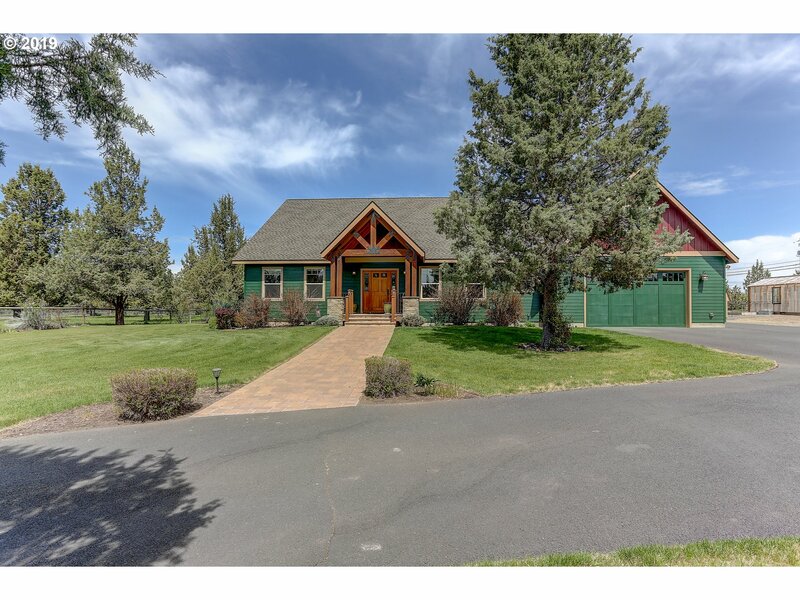 Multiple sliding doors that open to expansive deck with hot tub & pergola.This home encompasses all that Central Oregon has to offer!#20125342"
"Captivating beauty and splendor in this wonderful Three Pines home. Enjoy wood, stone, and iron decor in this well designed estate. Great room enhanced by the outdoor views, natural light provided by soaring windows. Master on main, stunning stone/tile bath suite. Entertain guests on paver patio with gas fireplace, while admiring all the beauty that is Central Oregon. Close proximity Shevlin Park and trails along Tumalo Creek." "Prime location in Tumalo! Beautiful quiet setting with established landscaping. Home features 4 bedrooms, 2 masters one on each level. 3600 sq ft farm building includes, 2 stalls, hay storage, 2+ car garage and shop area and covered porch with a log finished studio. Bring your animals and toys. Outdoor arena and fenced pastures with in ground irrigation. Close to everything Central Oregon has to offer." 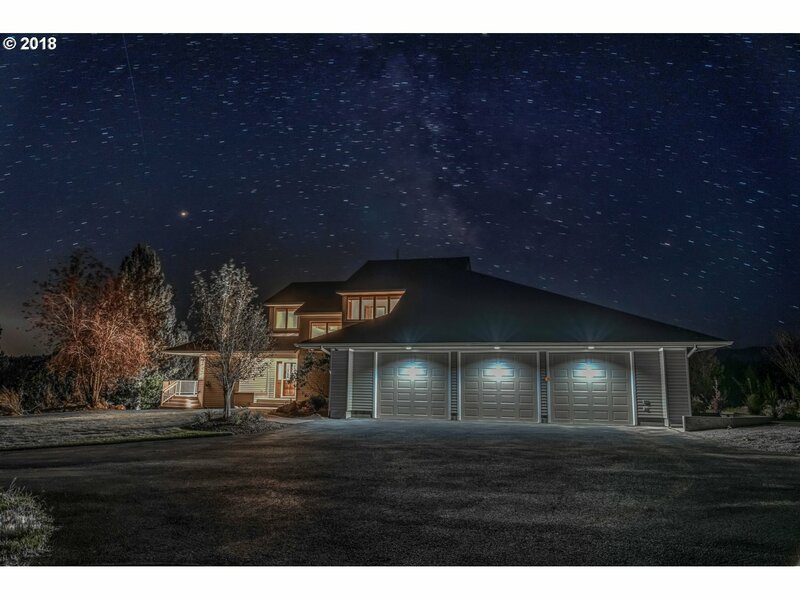 "This new contemporary home in Four Peaks takes in views of the Cascades & Mt Jefferson across the private Fazio course 18th fairway.It's currently move in ready. Walk to all the amenities Pronghorn has to offer; Pools, Nicklaus and Fazio golf courses, Club House, Spa, Restaurants, Tennis and more. Photos represent completed model home that can be viewed at Pronghorn sales office. You can also make this a vacation rental." 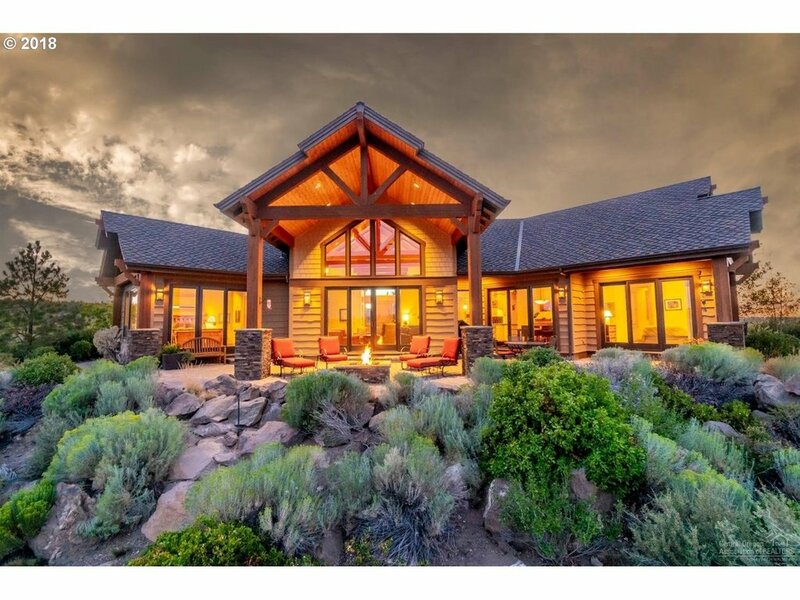 "NW Bend/Tumalo-Custom Log Home on 8+ Acres + Spectacular Cascade Views! Welcome to Juniper Acres Bed & Breakfast - 3200+ Canadian Spruce Custom Log Home - 4Bed/3.5Ba + Loft/Office (3 suites w/pvt baths), great room w/window wall 7-Peak Cascade views, wd-stv, pine-plank floors, huge wrap viewing deck, well-groomed grounds w/acre of Tumalo Irrig, att 2-car garage + 1848sf shop, lots of parking including RV's." "Light & bright Sunrise Village home that is a thoughtfully designed single level contemporary dwelling with very clean lines & open floor plan. 3 outdoor living spaces with over 1000 SF of cedar decking offering options for entertaining & enjoyment. Special amenities include hardwood floors, 8' solid core doors, gas fireplace, large cherry wood entertainment center, taste full use of ceramic tile throughout & concrete tiled roof." "Beautiful custom home w/perfect floor plan. Great room with vaulted ceilings, fireplace and french doors to large deck. All living on 1st floor except for upstairs bonus room. Large kitchen with island. Spacious master suite with soaking tub. Large back deck, fire pit & huge yard. 3 acres fenced w/underground irrigated field & barn w/4 stables for horses, lg chicken coops, extra large green house and garden beds. 3 car garage and shed." "A 3 bedroom & 3.5 Bath Home with open floor plan, lots of windows and natural light. Natural wood with custom pine accents throughout. 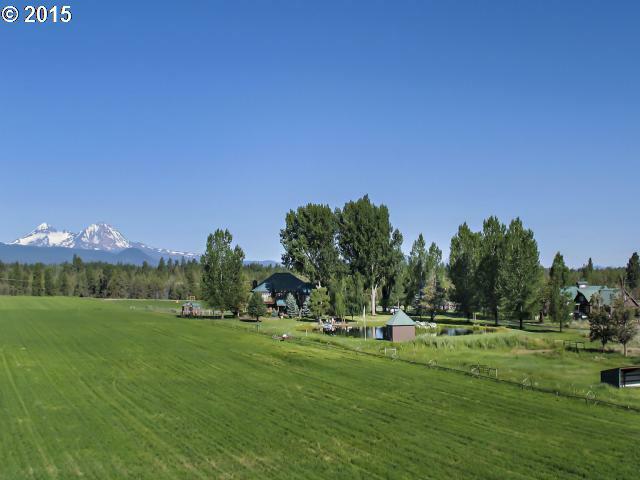 BIG Cascade Mountain views, and 2395 sf on 4.92 acres with 3 ac. of irrg! A stunning wrap around porch perfect for magnificent sunsets! Built in 1994, this home has many upgrades that include exterior paint in 18' & quartz countertops/sink in kitchen. Bonus room with private entrance w/rental potential"
"5.8 acres of Rolling hill, beautifully landscaped w/an amazing 250ft stream connecting 1 larger pond & 2 smaller sized ponds 2.6 COIC. Need a SHOP, specially designed shop w/ loft 2,300sqft w/pull thru RV doors(12x12)(12x13.5) w/750sqft is insulated, wood stove, water, power, Full Bathroom, poss tack room, apartment. Almost 2,200 sqft, 3 bed w/Master Suite, Poss Apartment Upstairs w/separate entrance w/deck." "Panoramic Deschutes River front backs national forest, and view of Mt. Bachelor! Watch spectacular sunsets and wildlife from your great room and expansive outdoor deck. Launch canoe from a private dock. Main Level large master suite, vaulted great room, and open kitchen, Office, powder room and large laundry/craft room. Upper level includes guest suite, third bedroom and bath and loft with Murphy bed. Don't miss this rare river property"
"River Frontage! 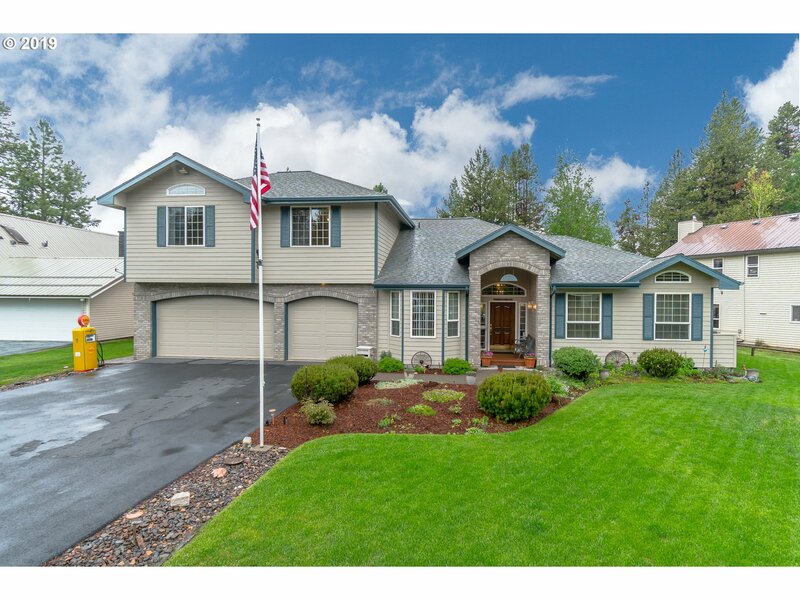 Beautiful Craftsman w/open floor plan right on the Deschutes River. 4 bed/2.5 ba w/lg. bonus rm.& Master on the Main. Great rm has gas FP, wood floors, high ceilings w/floor to ceiling windows to sit and look out at the water. Lg entertaining Kitchen & Dining area that extends to the deck that runs the length of the back of the house w/hot tub. Perfect country living with all the amenities." "Great location by schools & park. Gorgeous walnut floors, great room plan, granite tile counters, lg pantry & main level master, super closet, bath & window seat in bay window. Den/office, laundry on main floor. Kitchen with Alder cabinets, breakfast bar, instant hot water, stainless appliances, pantry. Gas fireplace with imported limestone surround & mantel. Private corner lot with paver patio, gas fire pit & water feature." "Close in 1.74 acre irrigated horse property w/ Guest House/Office remodeled from the studs out. New roof, windows, siding, electrical, plumbing, heating/cooling system, etc. Great room with a cooks dream kitchen. Permitted 1 bed/1 bath Guest House/Office attached to an oversized detached 3 car garage. Re-seeded pasture is fenced & x-fenced w/ 1 acre of in ground pressurized irrigation. Great location across from the Pine Nursery Park." 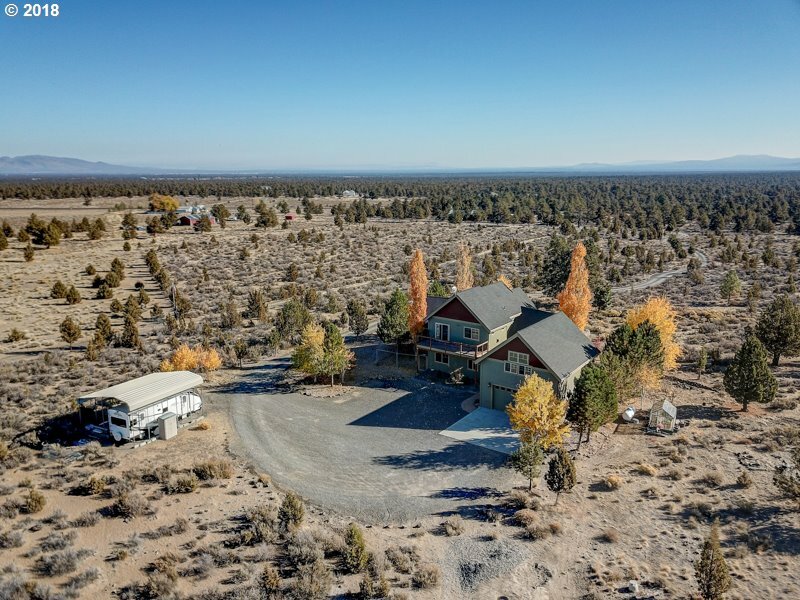 "High Desert bliss w elbow room just 10-min from Bend. 10 acres of privacy surround this well designed custom home w lots of extras. The main home has 2722 sqft w a great room concept that features floor to ceiling vaulted windows in main room w easterly sunrise views toward Powell Butte. Gourmet Kitchen w heated floors, fml dining rm, media rm + office, 2-beds & 2-baths, dual vanities, walk-in shower/steam rm, Must see to appreciate."